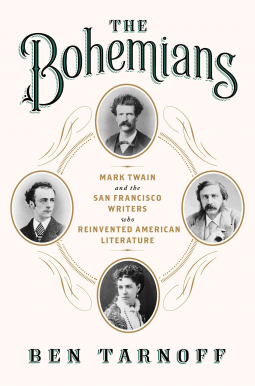 The Bohemians begins in 1860s San Francisco. The Gold Rush has ended; the Civil War threatens to tear apart the country. Far from the front lines, the city at the western edge roars. A global seaport, home to immigrants from five continents, San Francisco has become a complex urban society virtually overnight. The bards of the moment are the Bohemians: a young Mark Twain, fleeing the draft and seeking adventure; literary golden boy Bret Harte; struggling gay poet Charles Warren Stoddard; and beautiful, haunted Ina Coolbrith, poet and protectorate of the group. Ben Tarnoff’s elegant, atmospheric history reveals how these four pioneering western writers would together create a new American literature, unfettered by the heavy European influence that dominated the East. Twain arrives by stagecoach in San Francisco in 1863 and is fast drunk on champagne, oysters, and the city’s intoxicating energy. He finds that the war has only made California richer: the economy booms, newspapers and magazines thrive, and the dream of transcontinental train travel promises to soon become a reality. Twain and the Bohemians find inspiration in their surroundings: the dark ironies of frontier humor, the extravagant tales told around the campfires, and the youthful irreverence of the new world being formed in the west. The star of the moment is Bret Harte, a rising figure on the national scene and mentor to both Stoddard and Coolbrith. Young and ambitious, Twain and Harte form the Bohemian core. But as Harte’s star ascends—drawing attention from eastern taste makers such as the Atlantic Monthly—Twain flounders, questioning whether he should be a writer at all. The Bohemian moment would continue in Boston, New York, and London, and would achieve immortality in the writings of Mark Twain. San Francisco gave him his education as a writer and helped inspire the astonishing innovations that radically reimagined American literature. At once an intimate portrait of an eclectic, unforgettable group of writers and a history of a cultural revolution in America, The Bohemians reveals how a brief moment on the western frontier changed our country forever. Ben Tarnoff is the author of The Bohemians: Mark Twain and the San Francisco Writers Who Reinvented American Literature, to be published by Penguin Press in March 2014. 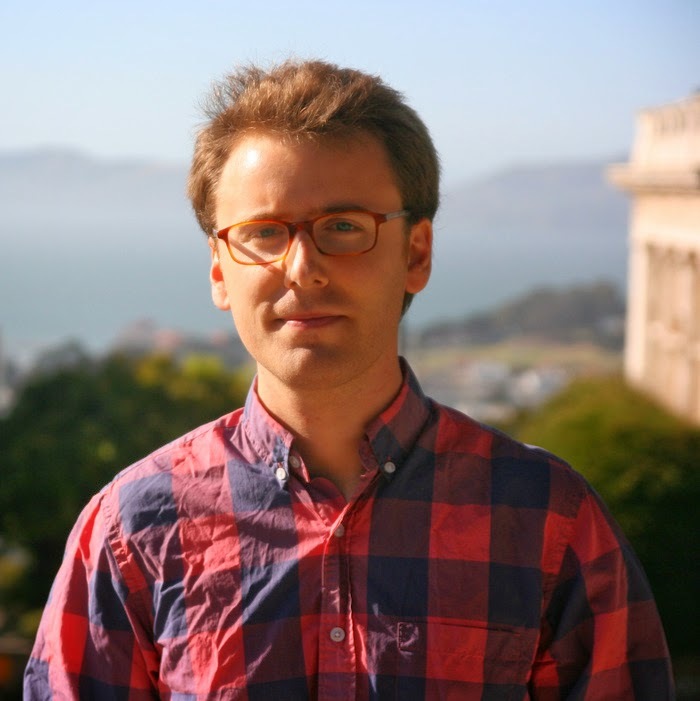 He has also written for The New York Times, the San Francisco Chronicle, and Lapham's Quarterly, and is the author of A Counterfeiter's Paradise: The Wicked Lives and Surprising Adventures of Three Early American Moneymakers. He was born in San Francisco. A comprehensive account of prose writers Mark Twain and Bret Harte, and poets Ina Coolbrith and Charles Warren Stoddard. 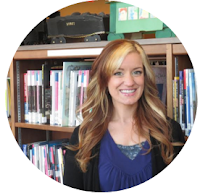 Ben Tarnoff tells us how this group interacted to create progression in literary history. Over time, the four bonded and were referred to as "The Bohemians" of San Francisco. There was a lot of material compiled into this book, mostly focusing on Mark Twain. I was unaware of the connections between these four writers and how exactly their relationships impacted literature that we know today. Honestly, I wish he focused more on the other three writers and included a more unbiased view about Ina Coolbrith's life and intentions. It is often we find poets who were trouble, struggling, or soul-searching, but this has become a bit of a norm. I'm sure there's much more to this story. If you know next to nothing about The Bohemians of San Francisco, this could bode as an interesting and enlightening read for you. The formatting was done fairly well, aside from some of the fonts around the photos. I liked how it mirrored a script-like handwriting, but it was at times difficult to interpret.